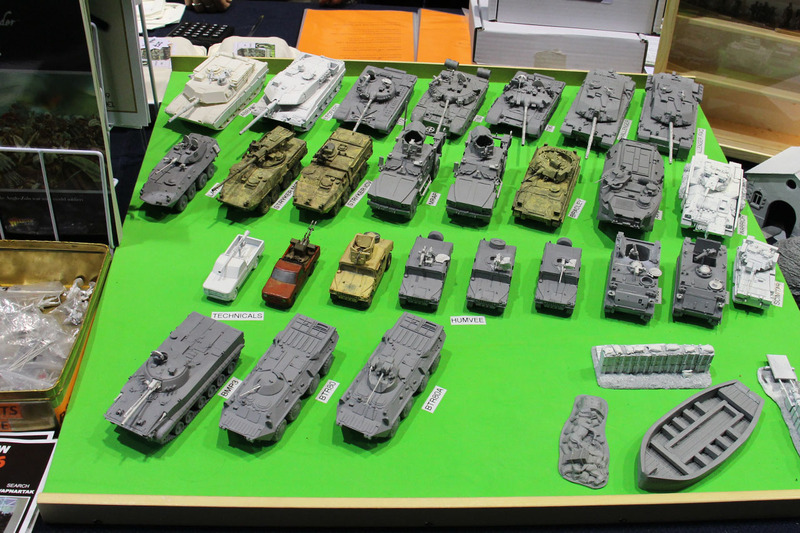 I've seen some of them on facebook over the past year, but now finally "in person". 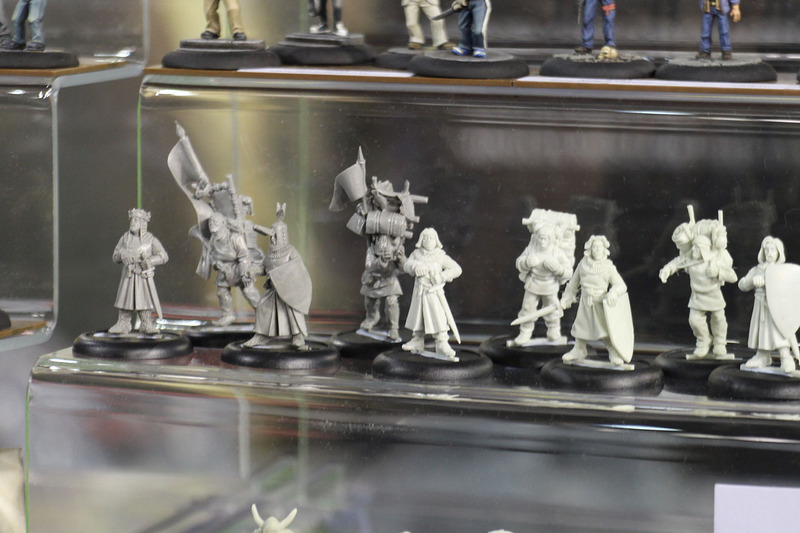 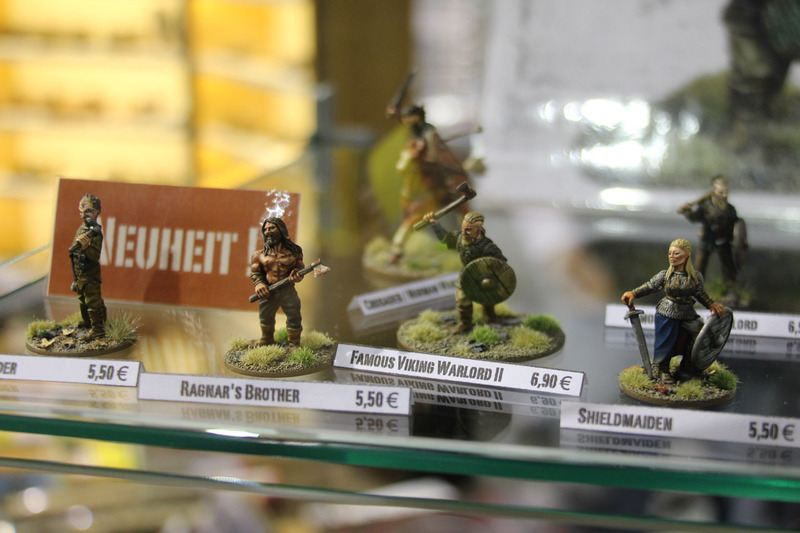 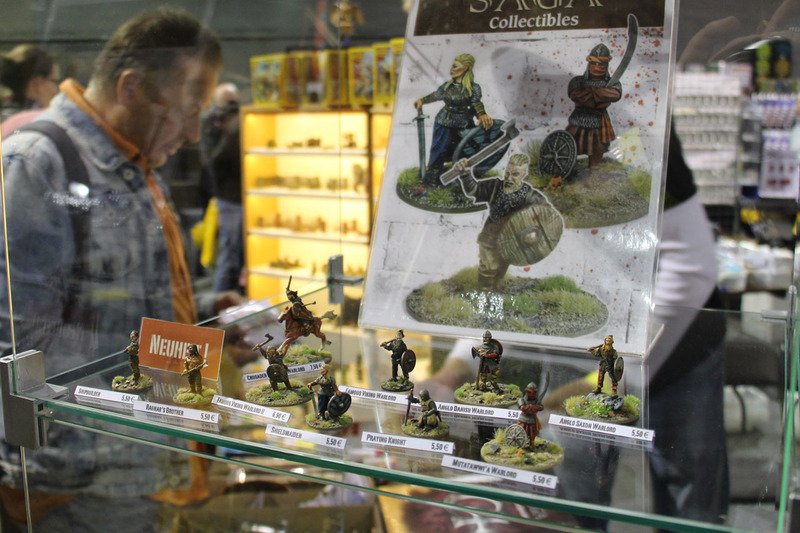 Studio Miniatures has their own Monty Python and the Holy Grail range - well they don't call them that, but you get it, its called Medieval Mayheim. 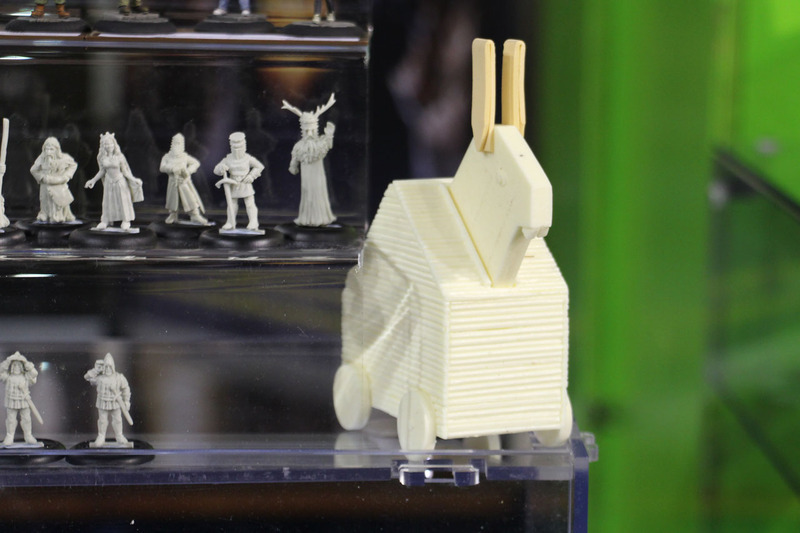 Completely with the knights, the assisting characters and even the trojan rabbit. 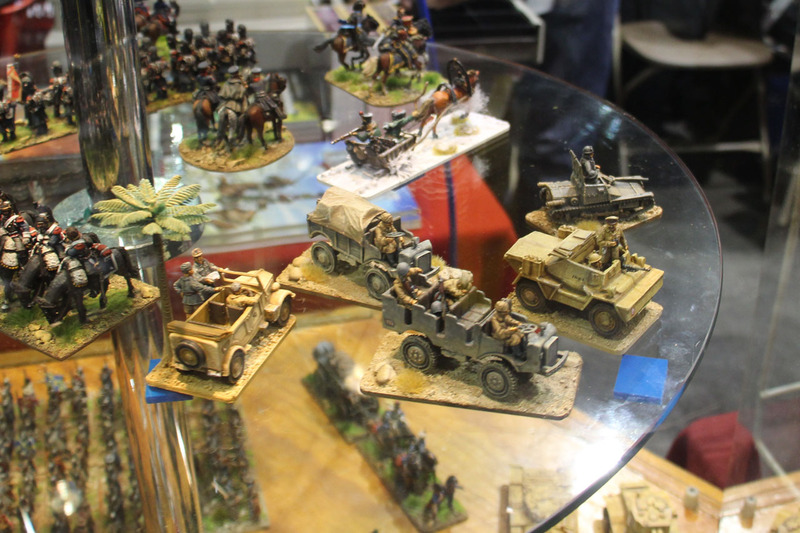 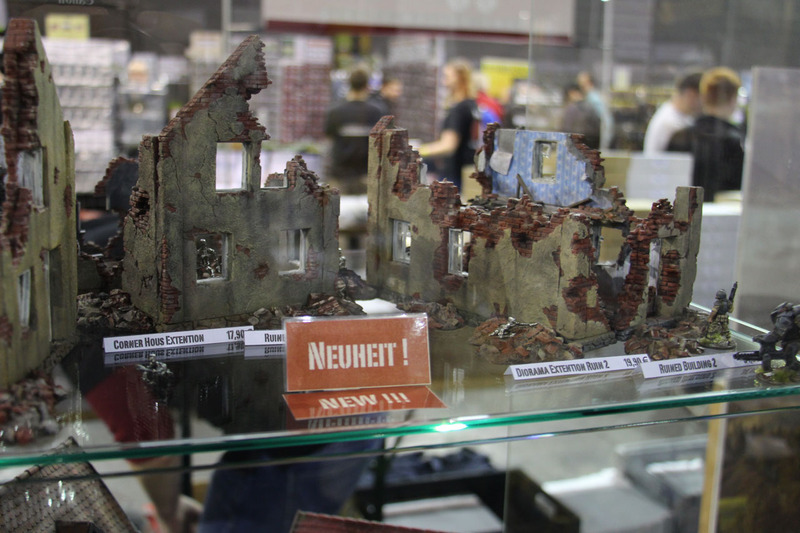 Empress Miniatures, covering a lot of Paul Hicks sculpted miniatures as well as modern combat including vehicles, was one of the first booth you see when you enter Crisis. 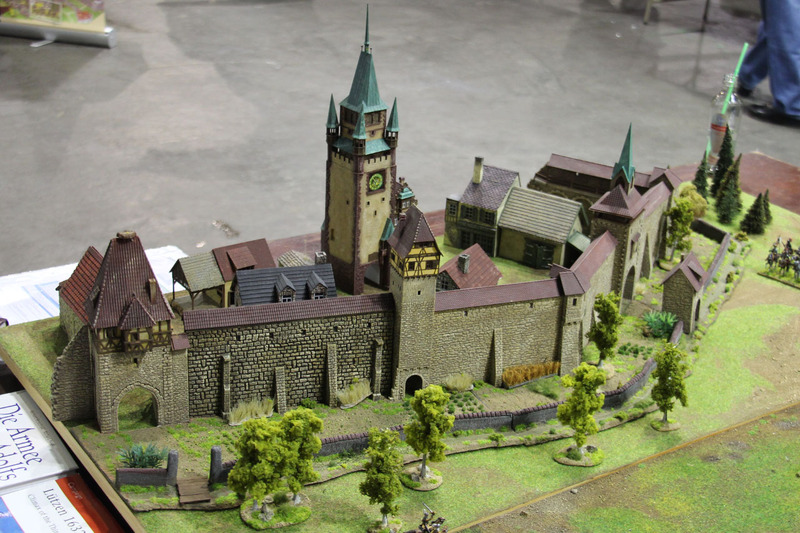 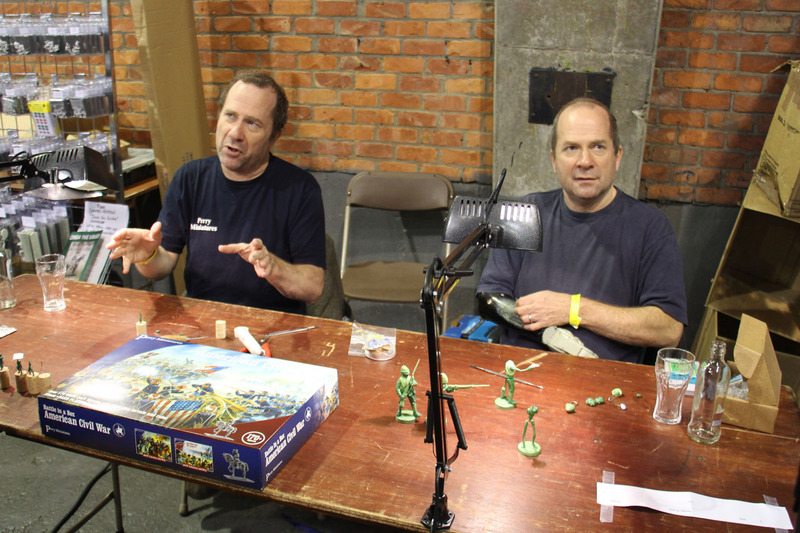 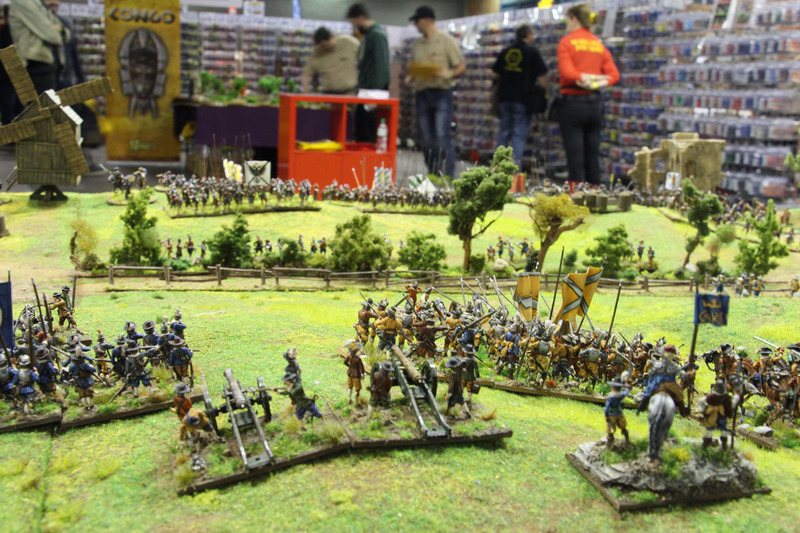 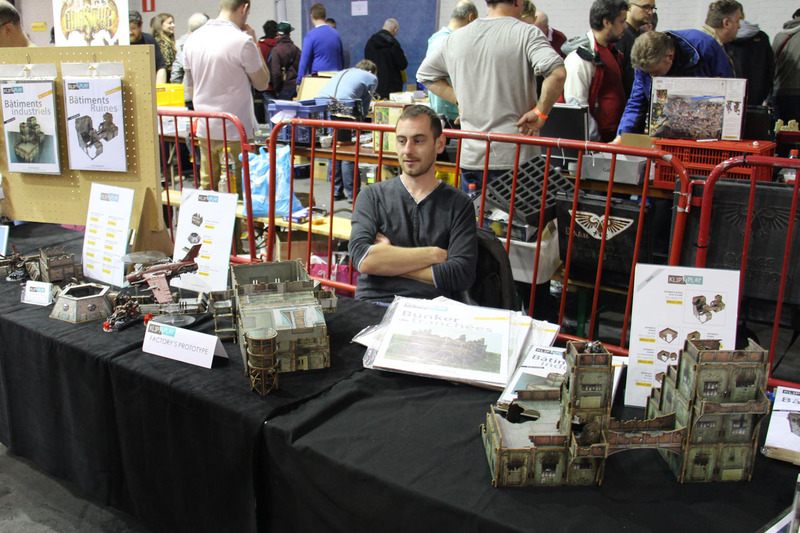 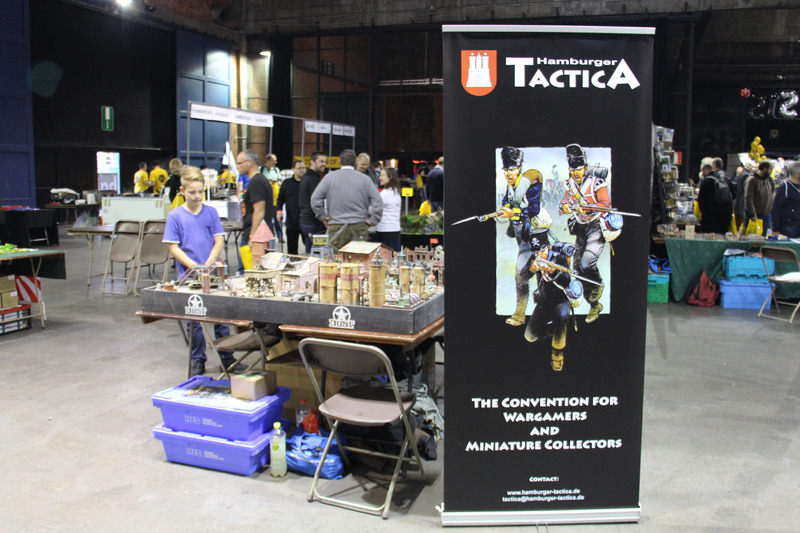 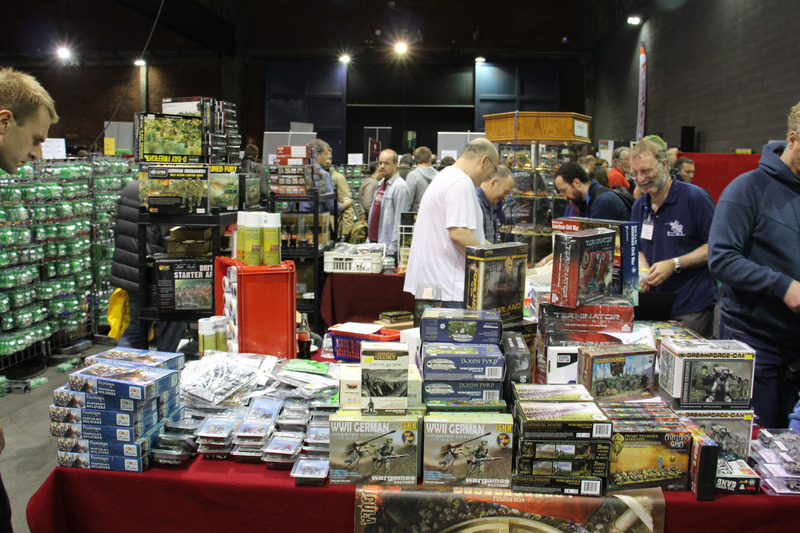 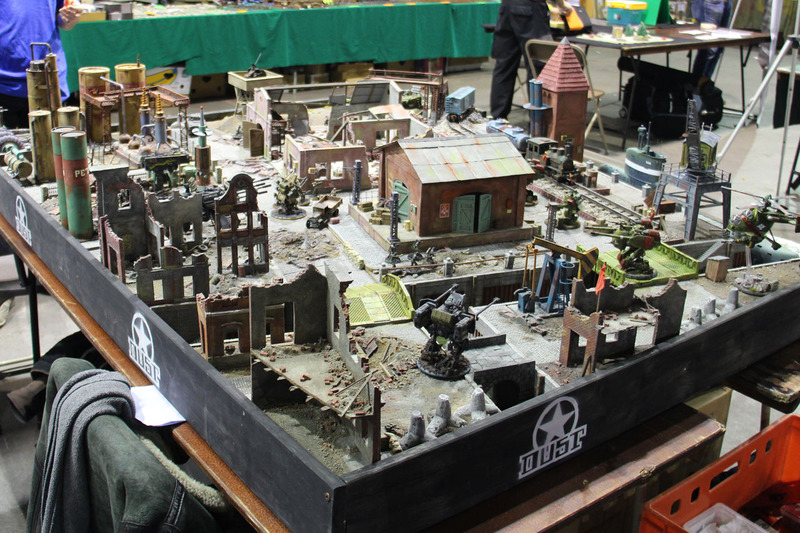 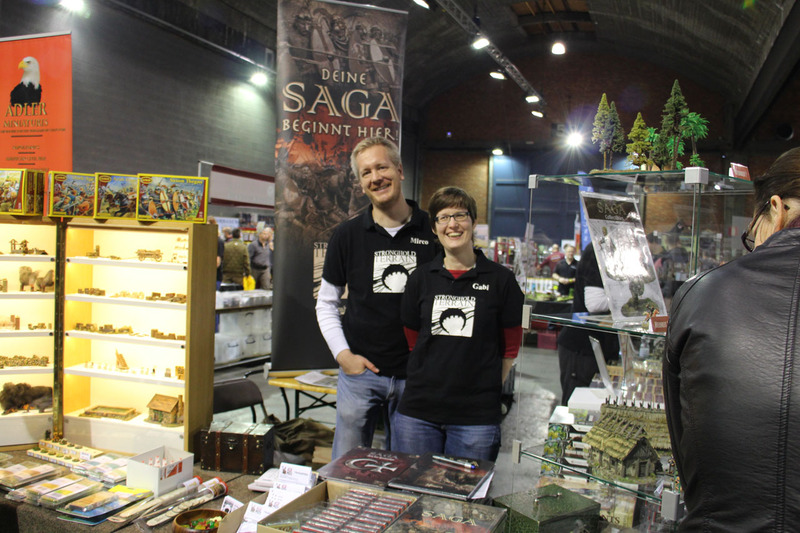 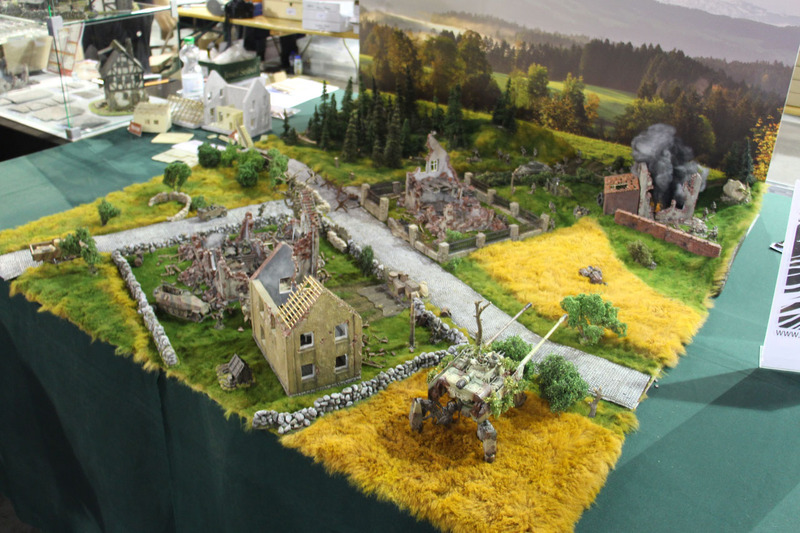 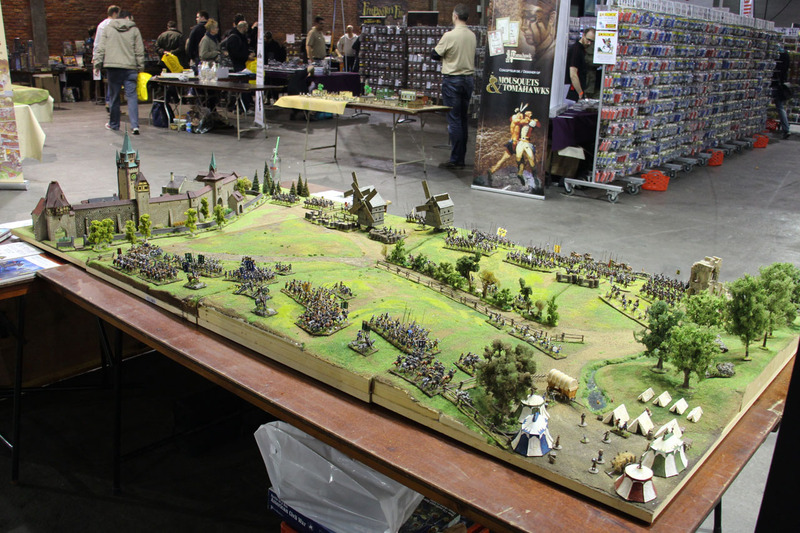 The wargamers club Tactica from Hamburg covered two tables at Crisis, a Dust setting and historical set up. 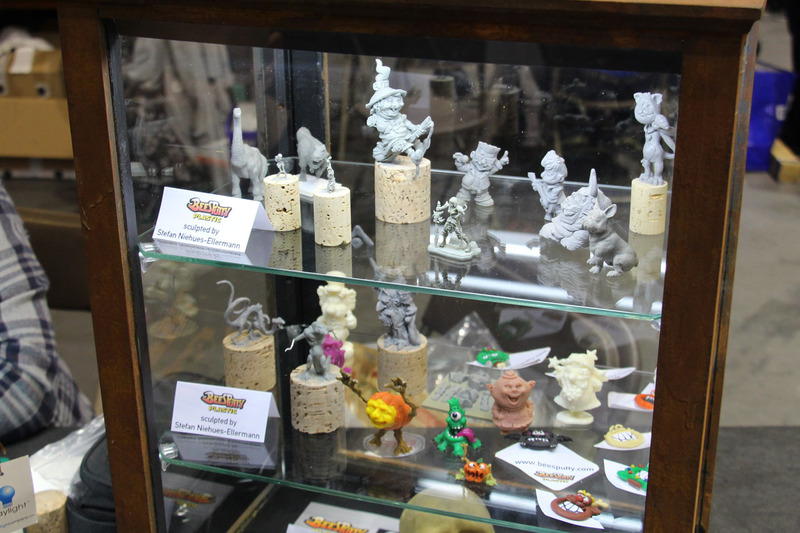 Bees Putty and Dust Studio had some extravagant but interesting sculpts in their showcases. 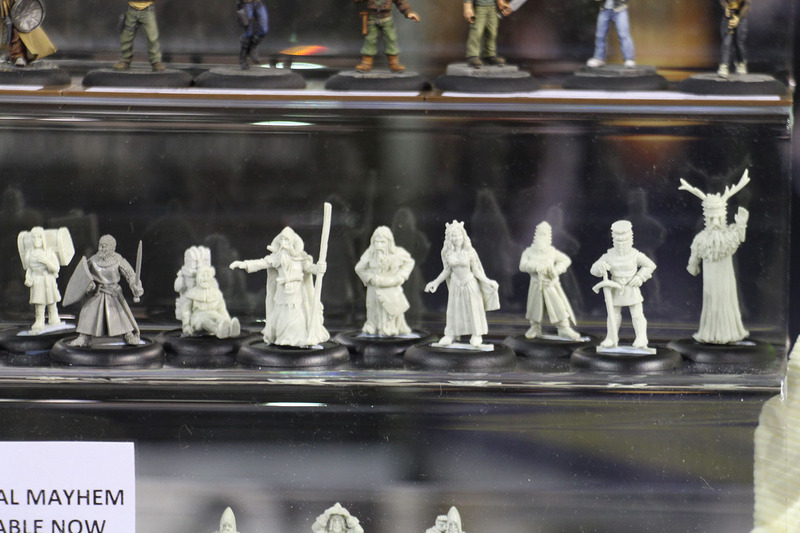 A real joy at the Crisis is to browse at the large booth of Dave Thomas, who is talking care among others of the complete range of Perry Miniatures. 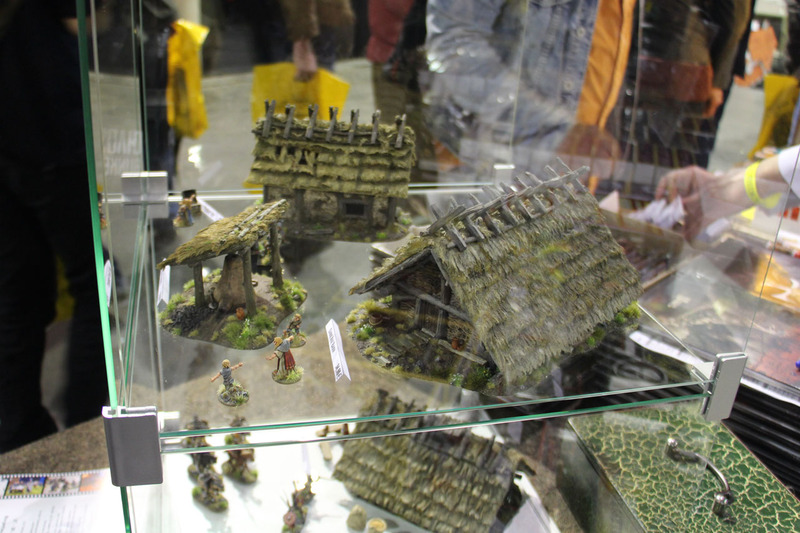 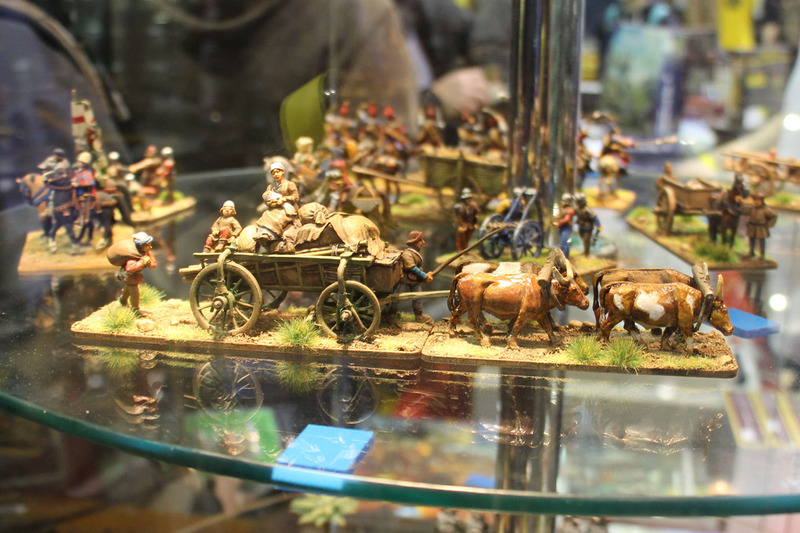 Beside the incredible amount of blisters you see a nice showcase covering miniatures from different eras. 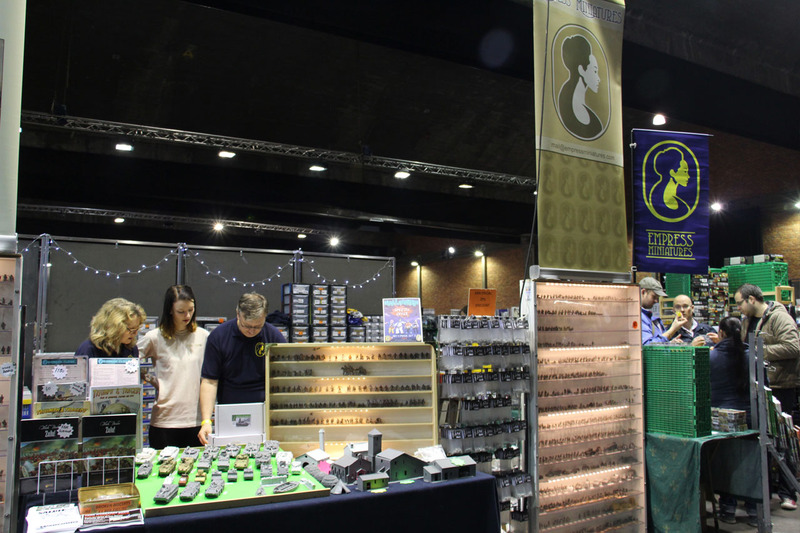 And the twins behind the company were there as well, Alan and Micheal Perry, sculpting away and talking to the visitors about their current and upcoming projects. 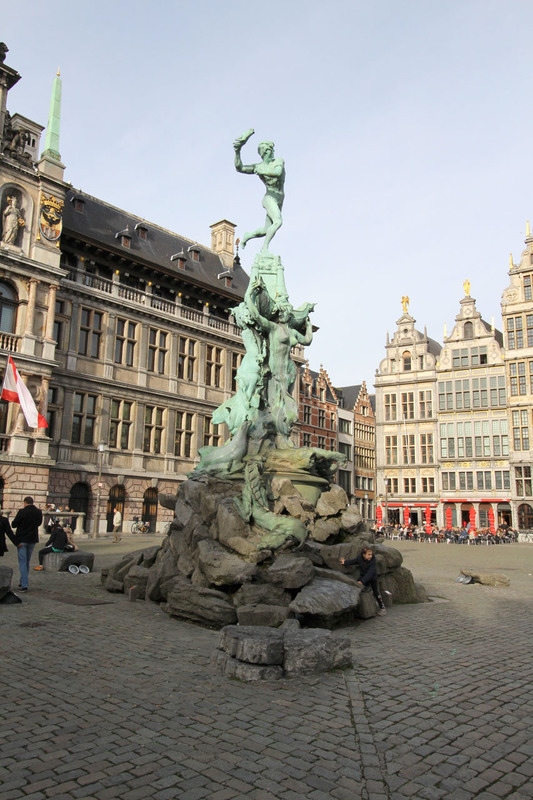 They stayed for the whole weekend at Antwerp and enjoyed the city. 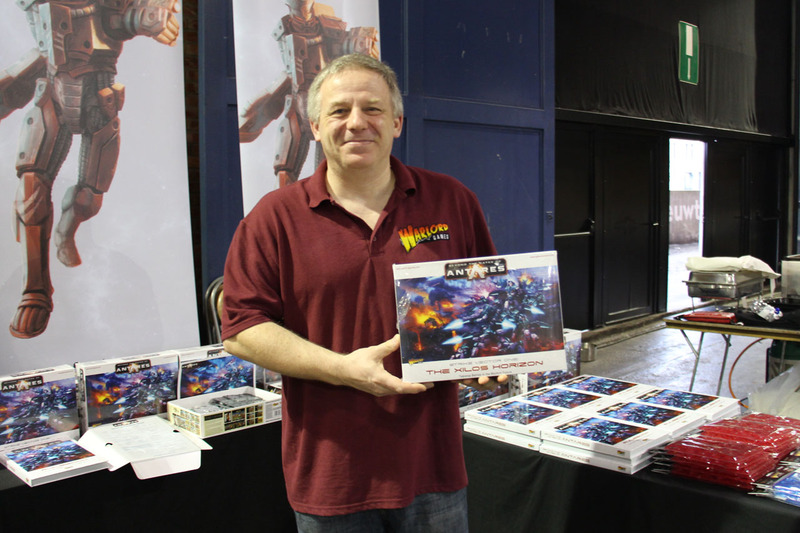 On the Crisis weekend, was although the release day of Beyond the Gates of Antares. 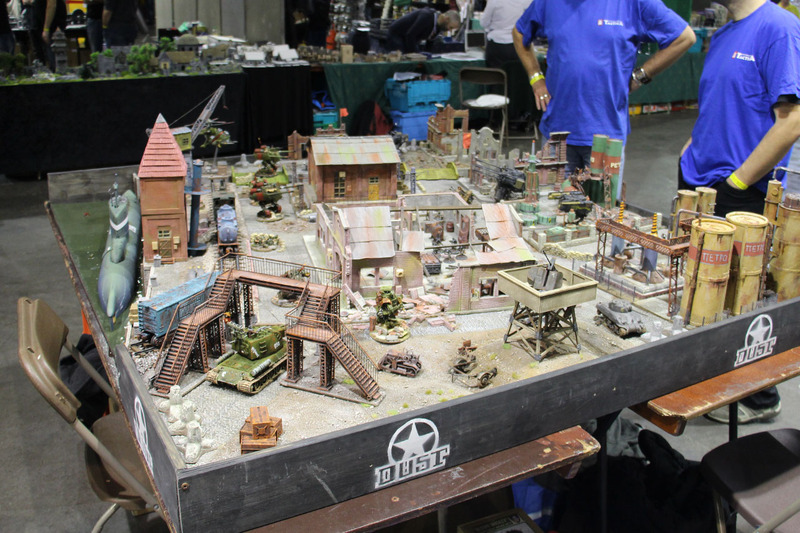 Warlord Games newest ruleset, expanding their own palette to a full scale sci-fi system. 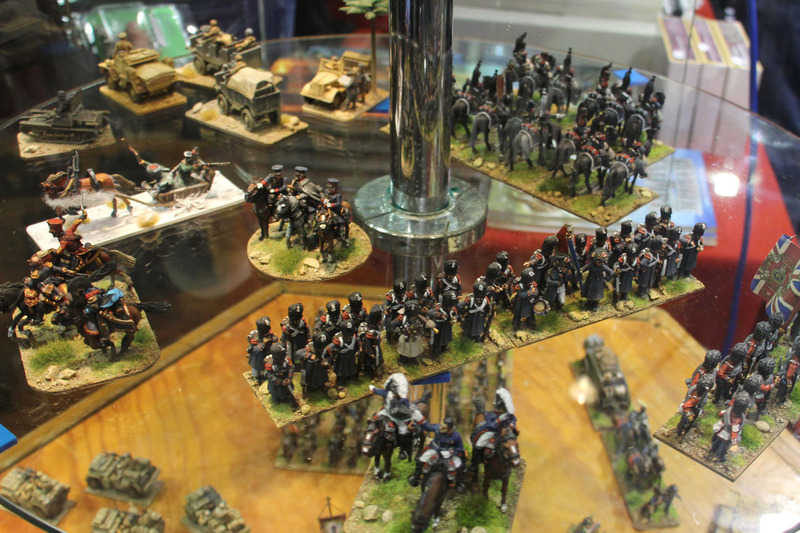 But the visitors were happy with Bolt Action and Black Powder as well. 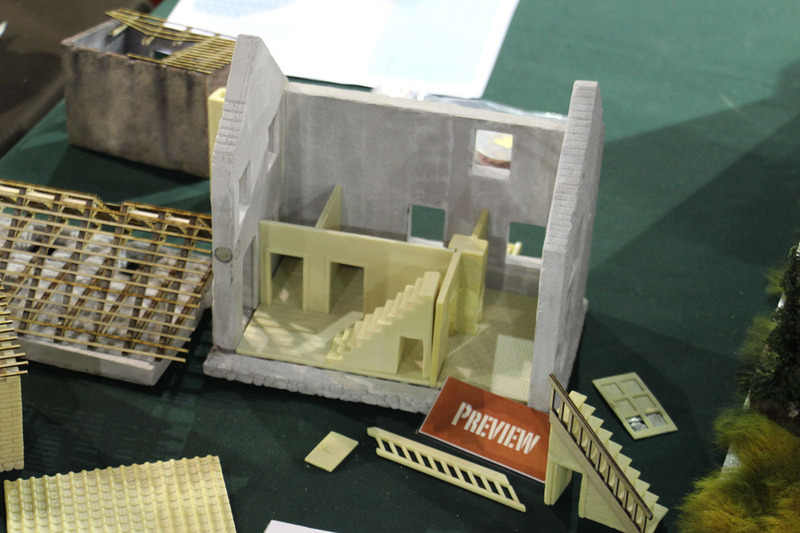 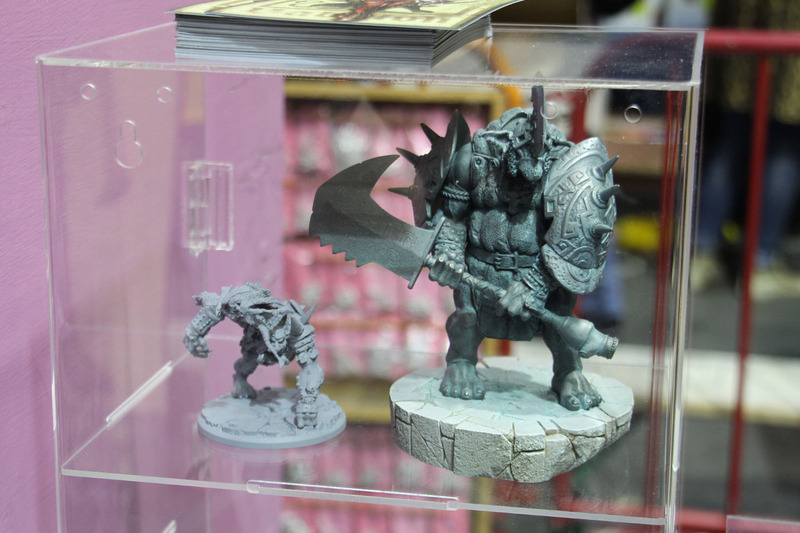 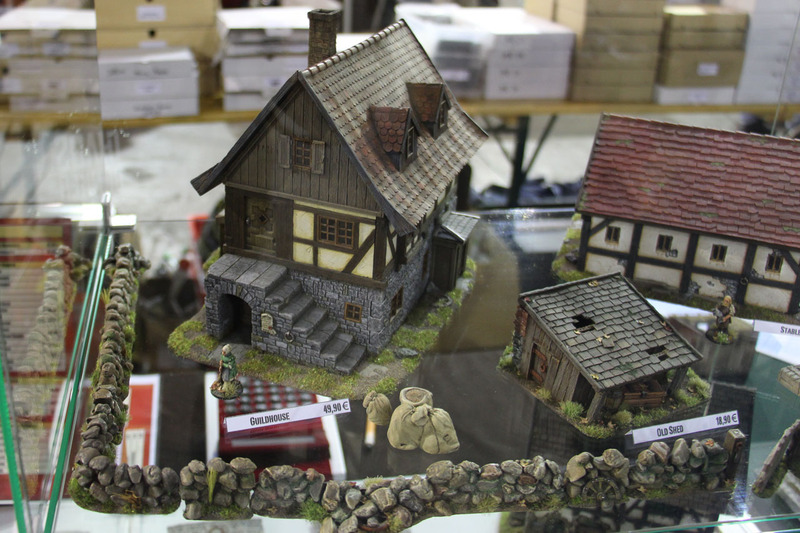 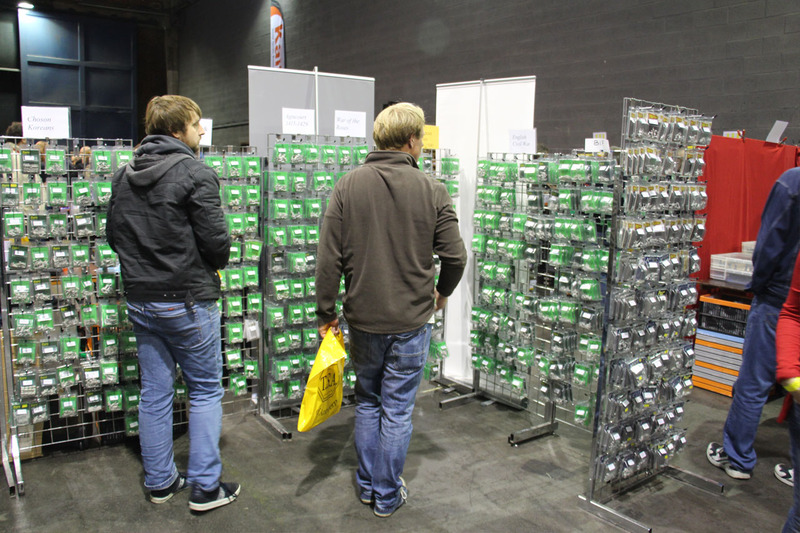 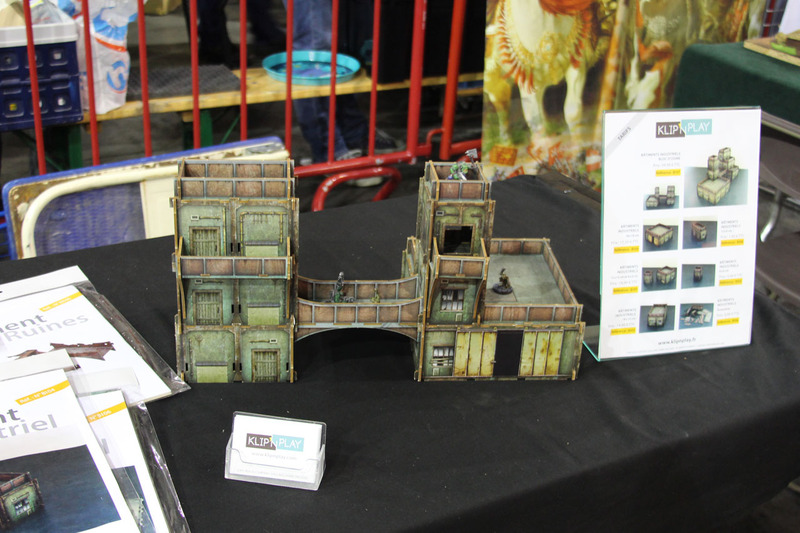 A new company was Klip and Play, with pluggable preprinted foamboard terrain. 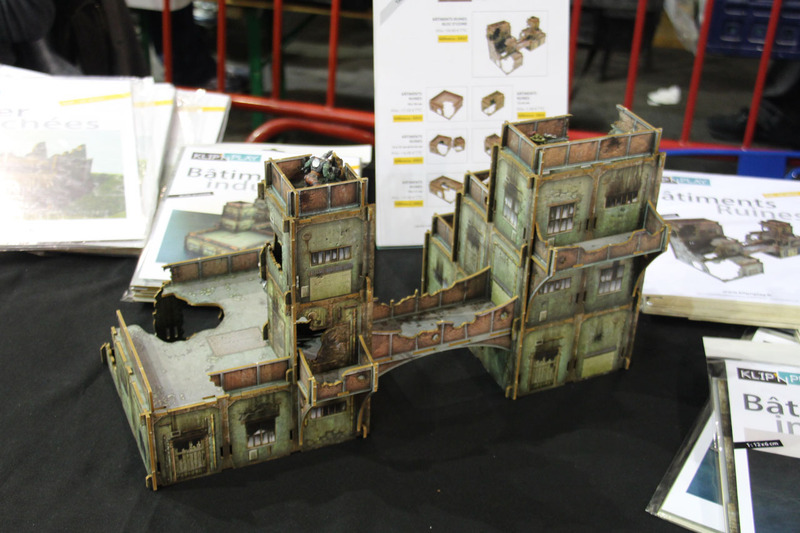 Interesting concept, and does look usable. 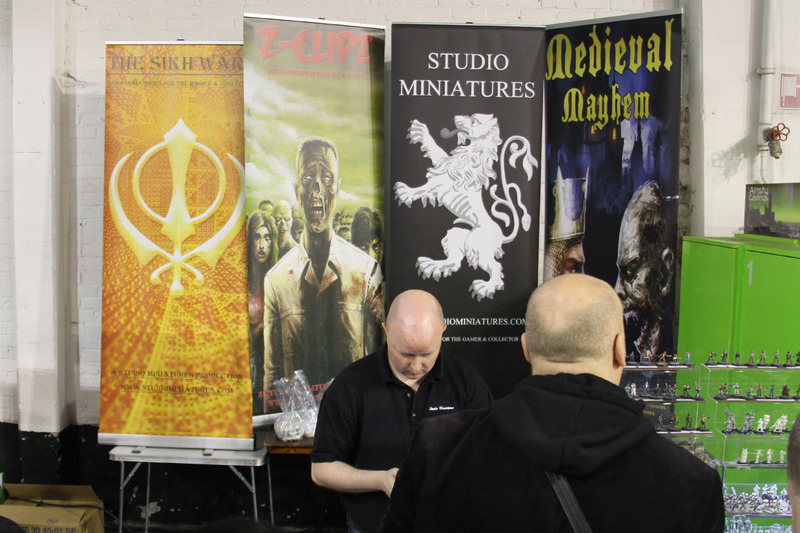 The crisis was a enjoyable event and i am already looking forward to the next year. 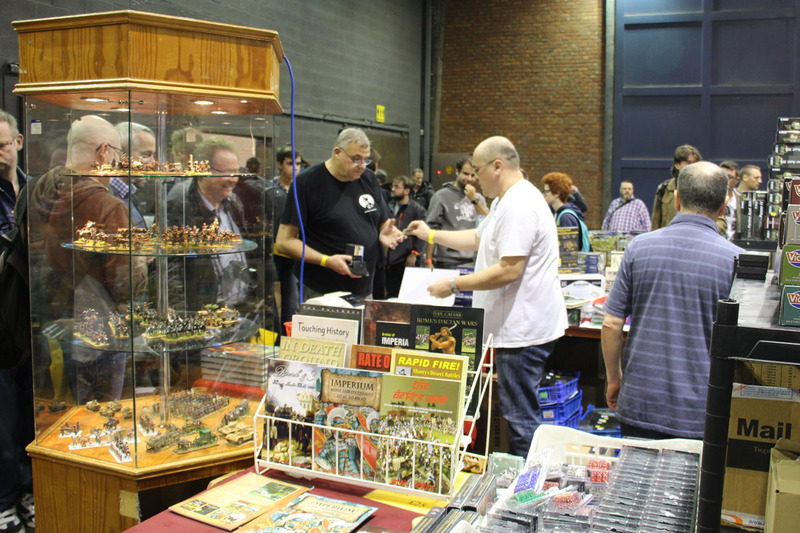 It has a lot to offer, traders and tables, and you should see it at least once to experience this well hosted show. 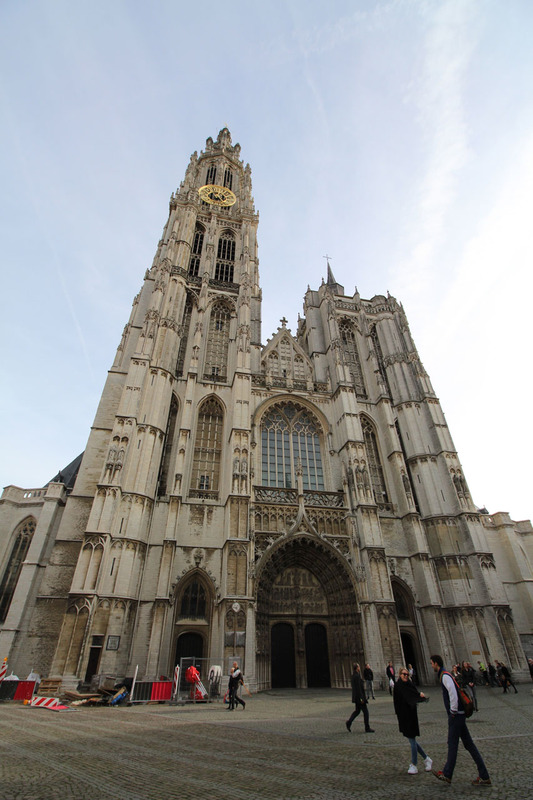 Beside that, Antwerp is a beautiful city. 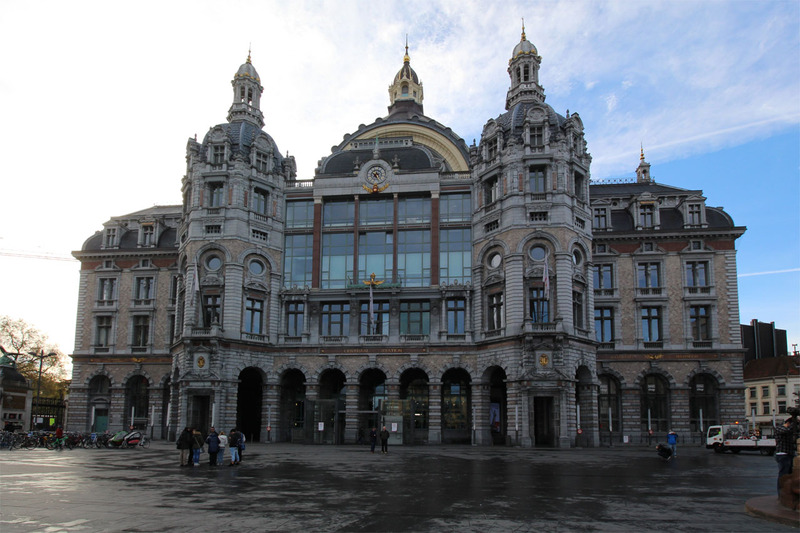 I used to stay near the central station, but will move my hotel near the old town / Schelde area. 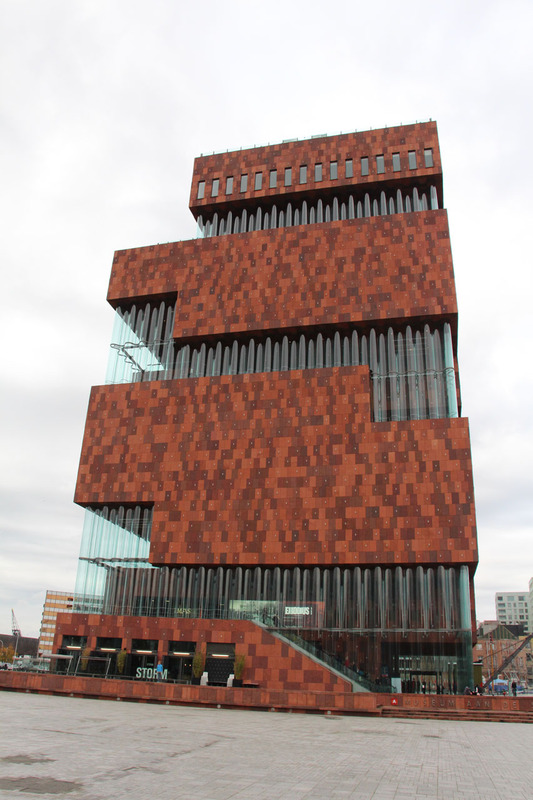 The city has a lot of very nice sides, is large but not to large and many areas can be explored by foot. 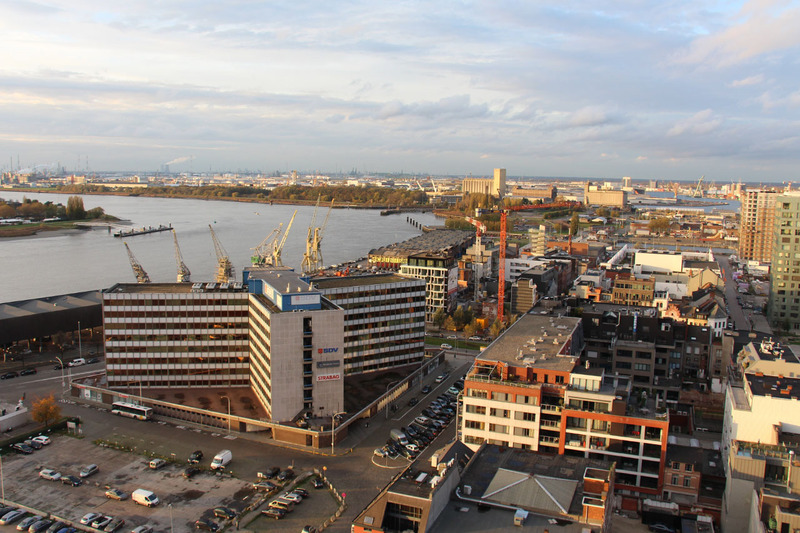 In the direct neighbourhood of the Crisis is the large harbour area, with some nice cafés and bistros. 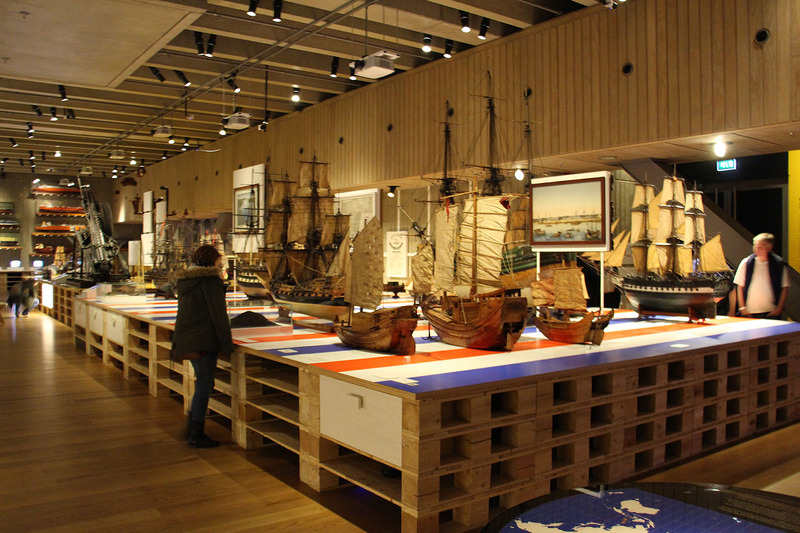 There is even a museum a few minutes away, the MAS. 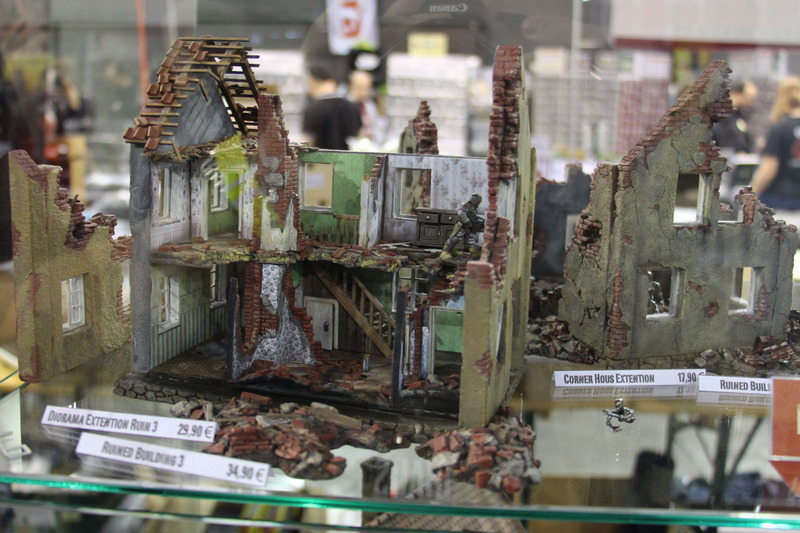 The exhibition costs a small entry fee, but the panorama platform is free, from which you can even see the Crisis venue. 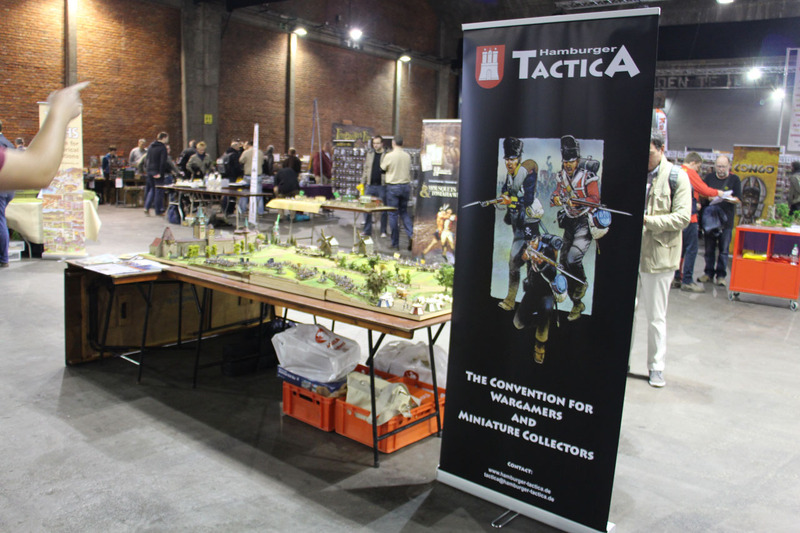 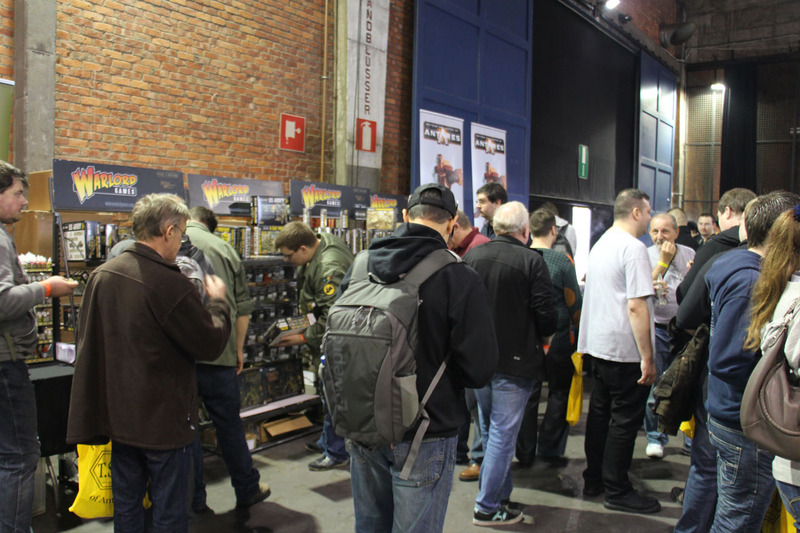 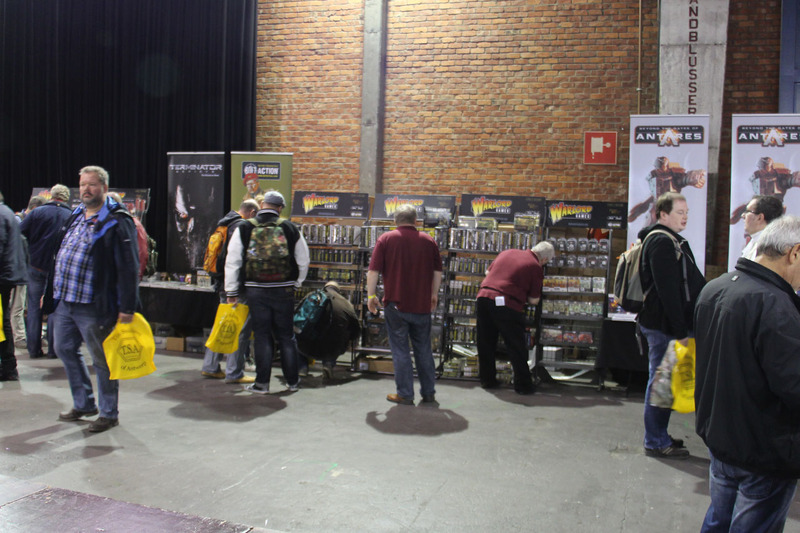 To sum this weekend up, i'd like to thank the Tinsoldiers of Antwerp for hosting such a great event, the fellow wargamers for the nice chats and Antwerp for the pleasant stay.